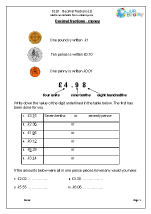 Using decimal fractions including tenths, hundredths and thousandths. 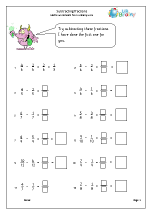 Exploring and understanding equivalent fractions. 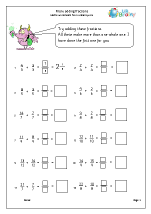 Order fractions and solve problems. 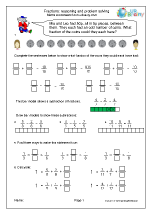 Understanding improper fractions and mixed numbers and converting from one to another. 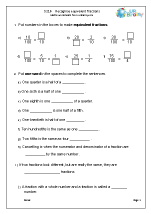 Adding and subtracting fractions including fractions with different denominators. 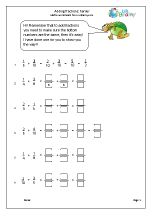 An introduction to multiplying fractions. 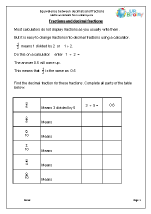 There is certainly a lot of fraction work to cover in Year 5 as the Programme of Study also includes decimals and percentages. 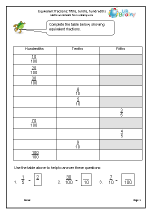 Understanding equivalence is still a crucial aspect of this and children will be expected to identify, name and write equivalent fractions of a given fraction (e.g. 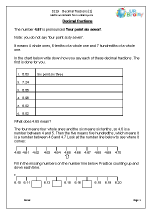 four sixths is equivalent to two thirds). 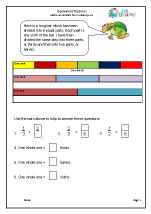 It is important that children entering Year 5 already have a good understanding of equivalent fractions and some will need to return to earlier work to re-inforce this understanding. 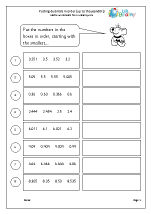 Thousandths will be introduced for the first time, relating them to tenths and hundredths. 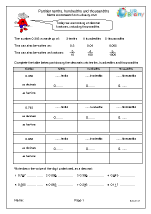 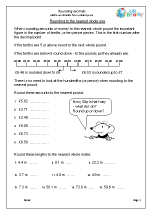 We have a great selection of pages on thousandths, including writing thousandths as fractions and decimals and putting decimals in order. 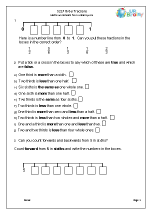 A further development in Year 5 is that children will be expected to compare and order fractions whose denominators are all multiples of the same number (e.g. 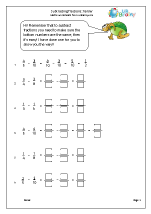 put two thirds, three sixths and five ninths in order by converting all three fractions to ninths). 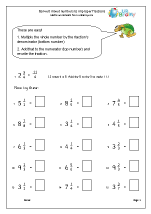 Mixed numbers and improper fractions are introduced and children will be expected to convert from one form to the other (e.g. 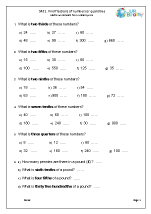 writing eight fifths as one whole one and three fifths). 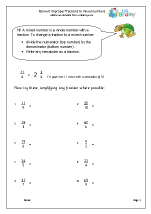 There is much more on adding and subtracting fractions with denominators that are multiples of the same number (e.g. 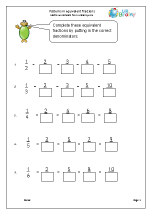 add three fifths and four tenths). 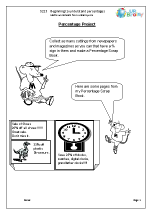 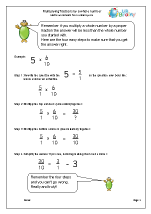 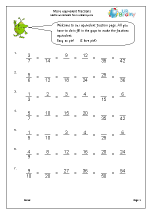 Multiplication of proper fractions and mixed numbers by whole numbers is also introduced. 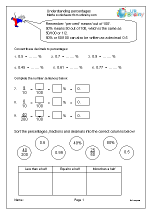 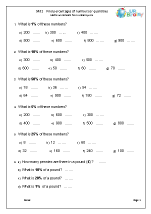 Percentages are covered for the first time; the key to working with percentages is to understand that the word means ‘out of one hundred’ and making the connection between percentages, fractions and decimals (e.g. 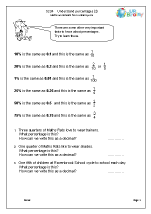 50% is fifty hundredths or five tenths and can be written as 0.5). 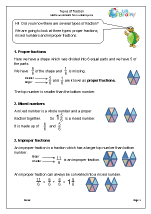 Certainly a lot to cover, but if children master this they should be able to answer most of the fraction questions that come up in the Year 6 SAT Papers.